Insulated windows may sound fancy, but luckily, this is a feature offered in most new windows. It simply means that the window has more than one pane of glass. 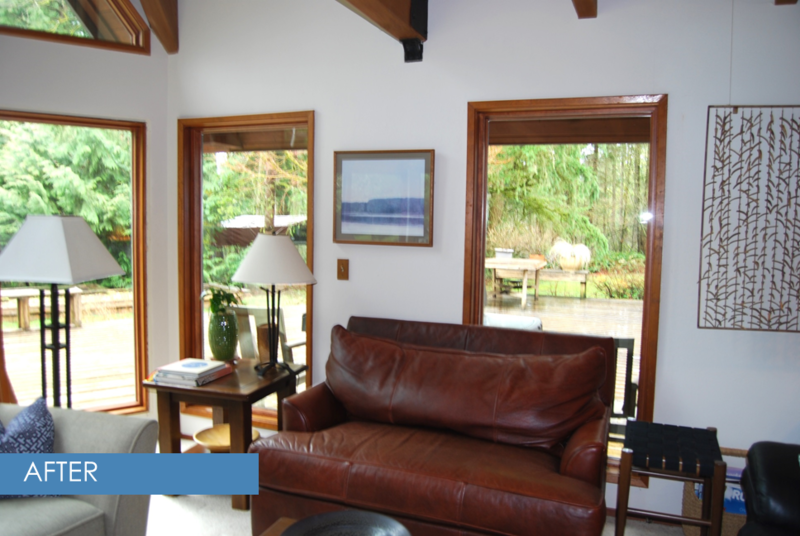 In fact, insulated windows are offered in double- or triple- pane options. This provides an extra layer of—you guessed it—insulation to keep warm and cool air where it should be. This is thanks to a sealed layer or layers of air or gas between the panes, which cut down on heat transfer or escape. U-factor is a measurement that illustrates how much heat can escape through the window. Homeowners should pay very close attention to this important number, as it is the main indicator of the overall insulating power of the window. U-factor is measured on a scale between 0 and 1. 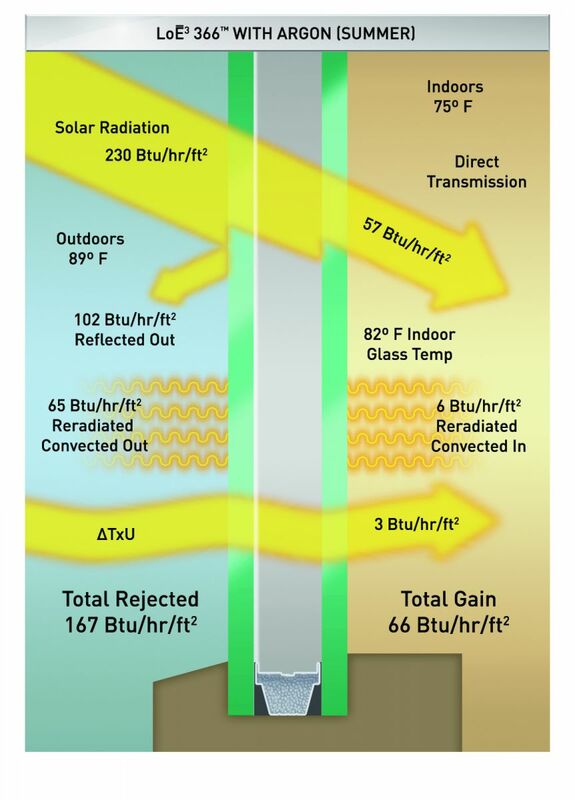 Contrary to what you might guess, the lower the number, the better insulating performance you can expect. For example, a measurement of 0.10 will provide better insulation than a measurement of 0.35. ENERGY STAR offers U-factor recommendations based on your climate and region. Now that you understand U-factor, we can now explore the term low-E, which can contribute to the U-factor. Often overlooked, this feature can make a big difference in your home’s energy efficiency. 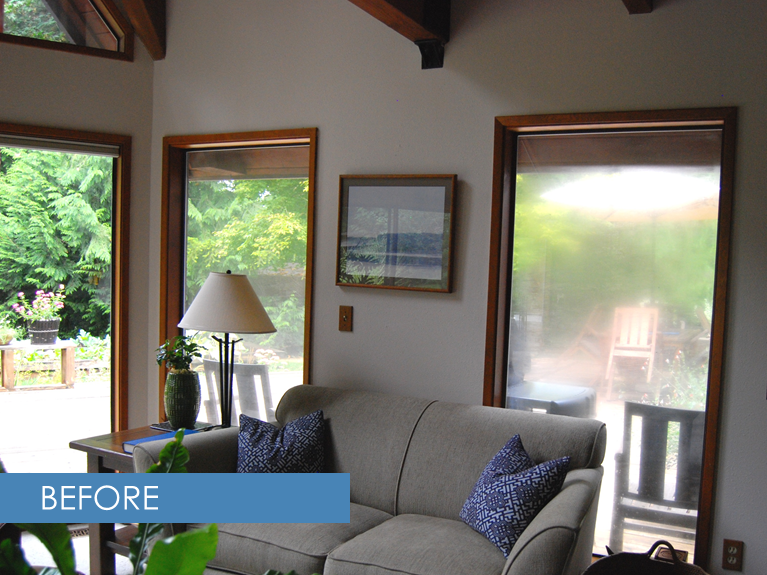 Windows with Low-E have a special coating on the windowpane glass that reduces heat transfer. This blocks heat from entering your home in warm weather, and keeps warm air in your home during cold weather. This technology often costs a bit more than regular, non-Low-E windows. However, for optimal energy efficiency (and for homes without A/C in the summer), Low-E windows might be a worthwhile investment for your wallet and overall comfort. These are just a few of the terms you might hear when considering home window replacement. We recommend contacting Washington Energy Services to discuss further. One of our skilled technicians will take the time to explain all the options, features, and benefits of our wide selection. You’ll become a window techie in no time! If you’re considering window replacement in Seattle, you have several amazing energy-efficient options to choose from—keep reading to learn more about the products we offer and how to choose the windows that are just right for your home. 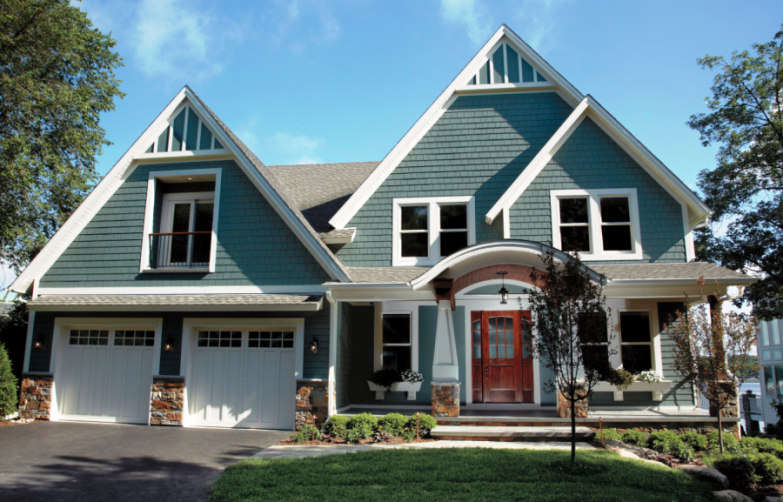 Vinyl is a product that marries cost and aesthetics to achieve a product that fits within a lower budget and delivers both the look and insulation you want. 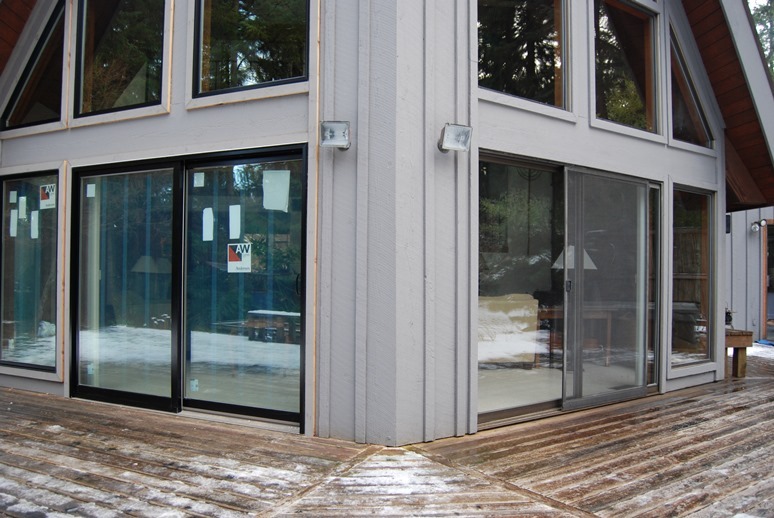 While vinyl does not insulate quite as well as wood, it is still superior to older aluminum and steel window frames. 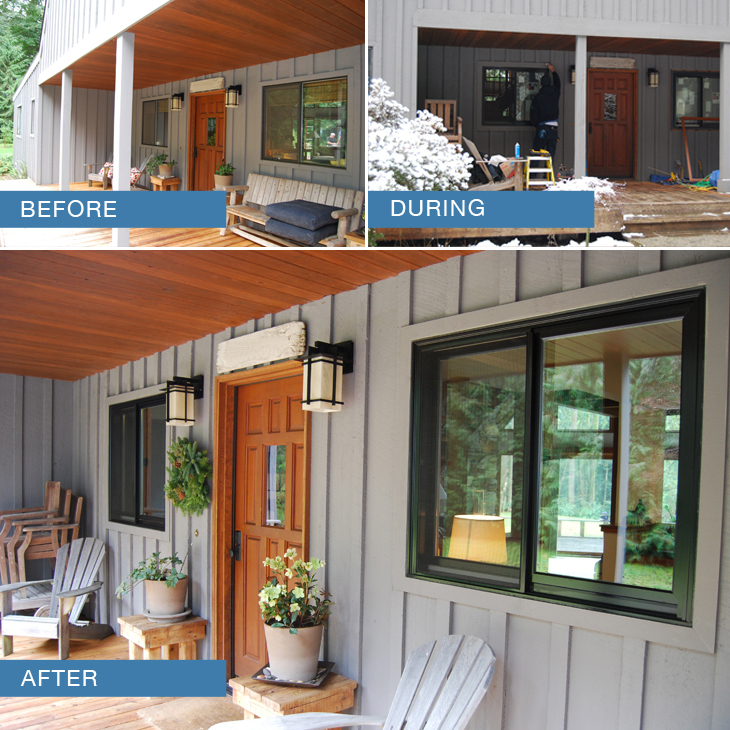 Vinyl windows can be manufactured in a number of colors, and some products mimic the look of wood for the aesthetic you want without the high cost or upkeep associated with wood windows. This material is easy to repair if damaged and won’t splinter, warp, or rot like wood, but vinyl can be susceptible to damage from prolonged UV exposure and may lose some of its strength over the years. Wood is an excellent insulator—wood replacement windows provide greater insulating properties than aluminum or vinyl frames, making this material a great choice when purchasing an energy-efficient window product for your home. Many homeowners love the natural and classic look and feel of real wood, which adds a sense of visual warmth to your home’s interior and exterior. Today’s wood windows are designed for durability, but wood can still be susceptible to issues if a regular schedule of maintenance is not followed. Wood windows typically require repainting or refinishing every few years, and should be checked regularly to ensure their caulking and other seals are intact to prevent moisture-related damage, such as warping and rot. 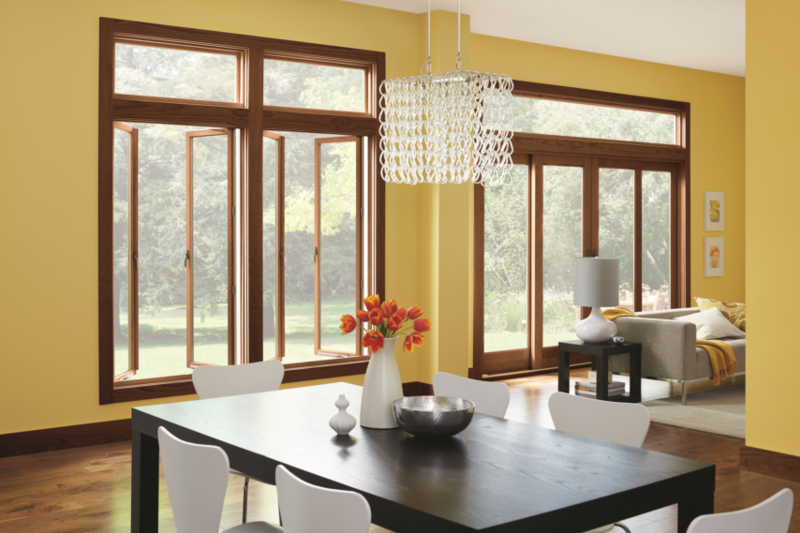 These windows are often more expensive than other options, but will add value to your home when installed. Andersen brand windows are made using Andersen’s proprietary Fibrex product, which is a composite material that combines polymers with 40% reclaimed wood fiber by weight. Thus, this product aims to provide the benefits of both natural and manmade products, as well as superior environmental benefits by reducing not only your home’s energy consumption, but the waste associated with new product manufacturing as well. Because Fibrex is extremely strong, Andersen windows can incorporate a narrower frame, which maximizes the amount of glass in your window for better views and interior lighting. Fibrex is also durable and long-lasting, and warrantied against rotting, blistering, corroding, and flaking. Despite the fact that Fibrex looks just like a wood window, it requires none of the high level of maintenance associated with wood, and never needs painting or refinishing for the look you want without the work. Installing energy-efficient replacement windows is a great way to increase the value of your home. Not only will you enjoy beautiful, well-crafted windows, but you’ll also see a reduction in the monthly totals on your heating and cooling bills. 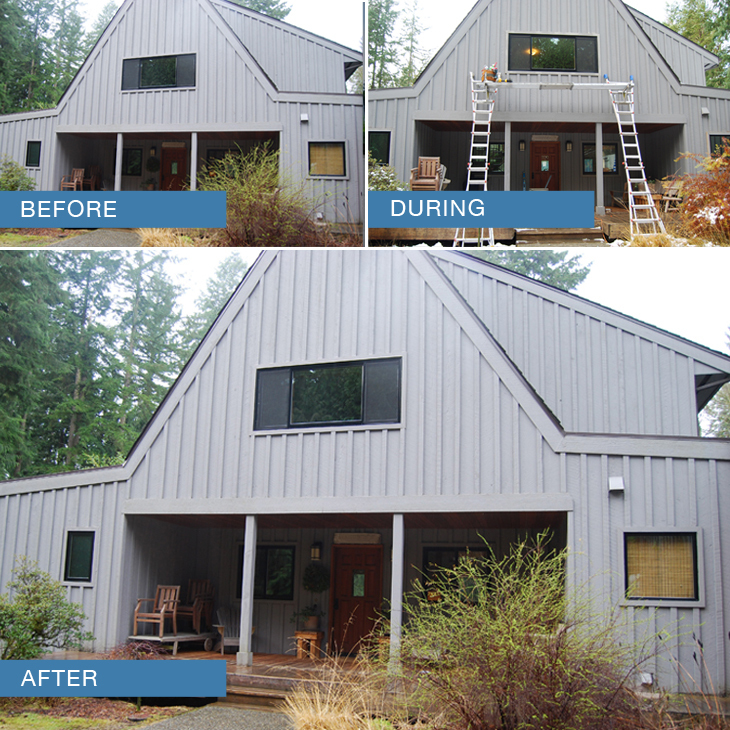 If it’s time for you to replace your windows, let Washington Energy Services help! Contact us for a free estimate today. People who bike to work in sleet or shine may seem crazy, especially if their bike commute lasts more than 30 minutes. But the decision to bike daily and leave the car at home can save you as much as $1,000 a year. Plus, the reduction in car use will significantly shrink your carbon footprint, and you can enjoy the good health and fitness that comes with the exercise. Maybe you’ve heard your grandmother say: “Use it up, wear it out, make it do, or do without.” It’s a good motto for many things, but when it comes to appliances, that may not be so true. Every few years the EPA comes out with a new set of standards for Energy Star-rated appliances because as the technology continues to progress, appliances become ever more energy-efficient by the year. People who buy new appliances as they improve will continue to save, especially if they’re smart and sell the used appliance to help pay for the new one. Have you ever visited someone’s house and noticed there’s plastic over their windows? It may not look very lovely, but it’s a pretty smart way to save energy, at least as a temporary fix. Outside air can leak into your home through old window caulking, so you have to run your heat and air conditioning more constantly. The plastic helps to keep air outside where it belongs. That being said, it should be treated only as a temporary solution. If there’s air coming in through your windows, you probably need new insulation, windows, caulking, or all three. The word audit never sounds like good news, so if a friend tells you he’s having an energy audit done, you might think he’s crazy. Actually, an energy audit is a very smart move. An energy auditor will examine your home to understand and diagnose your comfort, energy use and health issues. Things like rooms that are too cold or stale air and high utility costs. They perform testing of your house, insulation, structure, ventilation, air leakage, utility bills and more, seeing how your house uses and loses energy. Then they provide prioritized list of what you can do to change that. Windows and doors have a single purpose in the home, and they last forever, right? Wrong. Old windows and doors can let in so much air that they cause your energy use to skyrocket. 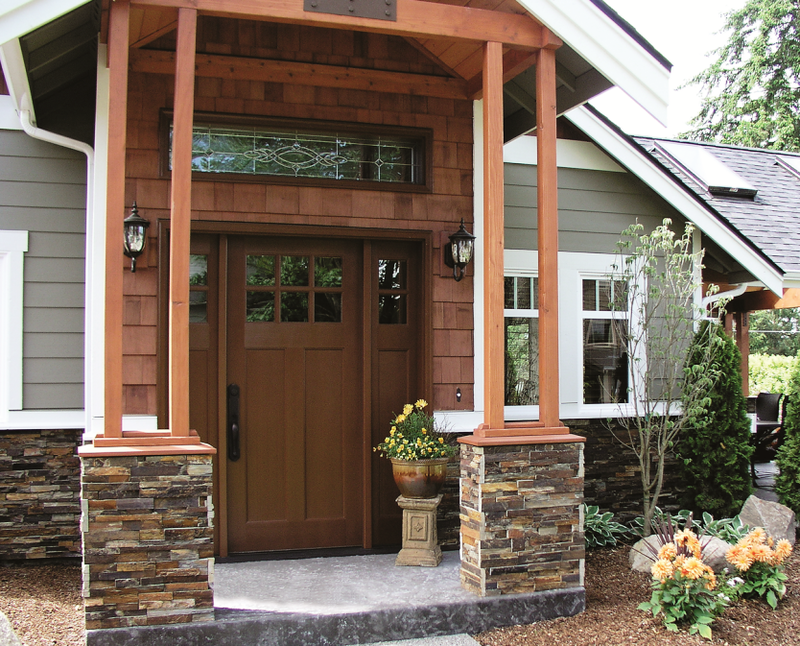 New windows and doors are among the best changes you can make to your home if you wish to improve its overall value. You’ll also see a nice investment return at an average of $300 per year on utilities for window replacements alone. Has a friend ever suggested that you should move your television and lamps away from your room air conditioning unit or thermostat? Heat sources such as lamps, if placed near your thermostat (for central air) or AC unit. , can significantly increase the demand for air conditioning, which raises your energy waste. In the winter it can create the opposite effect, telling the thermostat that your house is already warmed up, when you are still freezing. It may feel a touch on the warm side at your friend’s home, but it may be worth the relative discomfort. If you set your air conditioning at 78 degrees instead of 72, you can enjoy an average savings of 10 percent on your utility bill. There other affordable ways to keep it cool, such as running a ceiling fan or drinking ice water. You can save money and stay cool at the same time if you use your imagination. It might be true that baked potatoes don’t taste quite as good when they’re cooked in the microwave as opposed to in a regular oven, but your lower utility bill may add to the taste. Turning on the oven, especially during the summer not only costs you more in energy to power the oven, but also in your cooling bills, since the oven heats up the house. A microwave consumes far less energy and can save you hundreds when it’s hot outside. The cost of leaving a computer on can cost you $75 per year alone in utility charges. This doesn’t count the other appliances and electronics you leave plugged in all day long. It may feel like a hassle to have to unplug every electrical outlet in your home repeatedly, but you won’t regret it when the bills come rolling in. Did your friend just put a giant box of LED light bulbs in her Costco cart? If you want to enjoy energy and cost savings on your lighting, just follow her lead. Incandescent light bulbs are one of the biggest energy wasters on the planet. They use only 15 percent of the energy they consume, and the rest converts to heat, which is useless for you. LED light bulbs not only direct most of their energy to lighting instead of heating, but they also have a much longer life span than incandescent bulbs, which means you can save on both your purchases and your utility bill. Trees aren’t just meant outdoor decoration. They can also lower your heating and cooling costs. A tree planted strategically to shade your window without blocking the view can help to reduce your utility bills, because it will reduce the amount of sunshine and wind that permeates the window. A well-placed tree can also help raise your property value. Though some of these ideas may sound strange, they can save you big. And they aren’t the only moves that can help increase your energy efficiency. For more information on how you can save on your heating and cooling bill, contact us today. 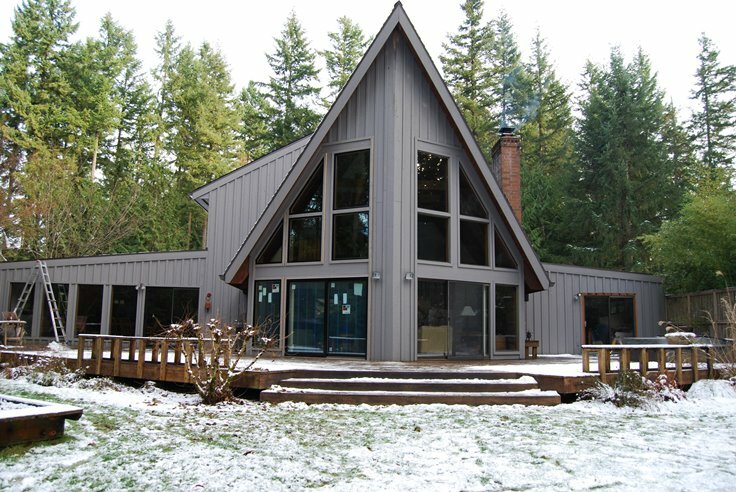 This lovely home is tucked away in the beautiful natural surroundings that Enumclaw offers. 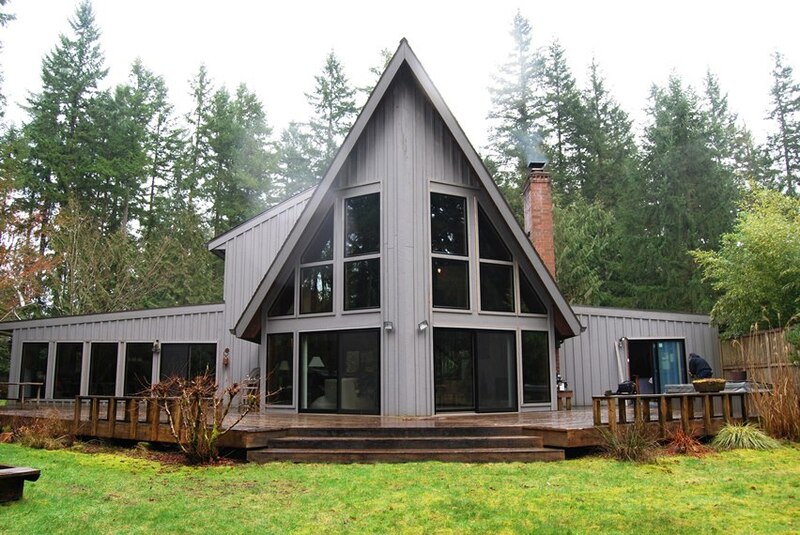 The unique steep angles defined by the A-frame home allows the windows to be the star of the show. There are many window materials to choose from (vinyl, fiberglass) but the style and location of this home called for the rich and traditional look of earthy wood windows. See the murky glass in the windows? That’s what happens when the glass fails creating leaky windows -and a leaky bank account come energy-bill time. When windows begin to leak the moisture from outside air gets in. That can give your house a stuffy and stale feeling even when it’s a nice day outside. Advances in glass-making and glass-coating technologies mean that replacing your windows can instantly increase the comfort in your home and save you money. Plus, visually you’ll see the difference new glass can make after upgrading. If you’re replacing your windows but also looking to change the function, add more windows, expand the size of a window etc., you can consult a window or replacement professional to get estimates on cost and work involved. Our crews never cut corners just to get windows in faster. A quality window installation is important to us so your windows will stay strong for years to come. In these photos you can see in real time the side by side comparison that the new windows make. On the left are the new wood glass windows with the old windows on right. For more information about these energy saving projects, please contact us at 800-398-4663 .